Animated films are slowly gaining popularity in Pakistan and the latest in the list is Talisman Animation Studios The Donkey King. Aziz Jindani, the mastermind behind Commander Safeguard, has helmed The Donkey King which promises to be a fun film for all ages. 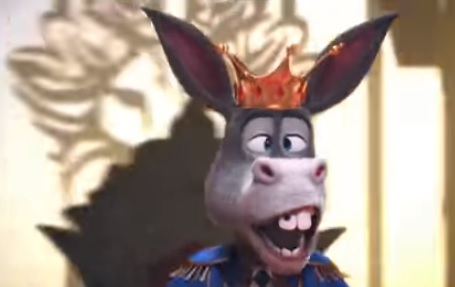 The short trailer takes off with a royal setting with mysterious shots of the new king, only to reveal that it is actually a Donkey. It is later revealed that the Donkey, who is in actuality a dhobi, Mangu Mangu Jan Mangu, is dreaming. The visuals and voiceover are beautifully done and appear to be of international standards. The Donkey King is scheduled to release on October 13.